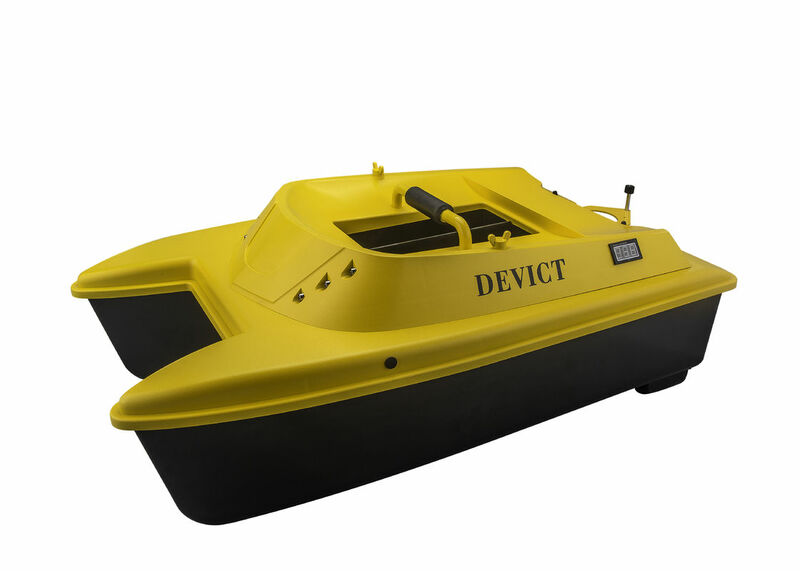 Bait boat DEVC-303M yellow bait boat remote control bait boat style rc bait boat remote range 500m. The six white LED lights (1) on the front & the red two (2) at the rear help to know the boat direction and the location of the boat in poor light or at night. There are two bait hoppers in the middle of the boat could load 1.5~2.5kg baits each and total could load 5kg as maximum. They are controlled by the remote seperately. You also could put the hook here and dropping the fishing line & baits together. 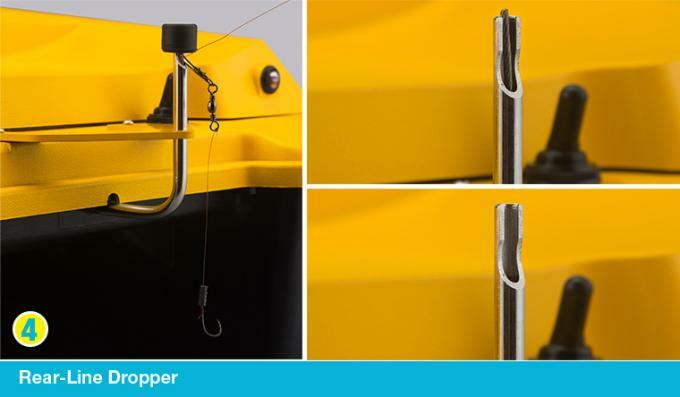 The hopper could be controlled to dropping the baits bit by bit when sailing. The Rear-Line Dropper (4) is designed for fishing-line dropping. You could take away the black rubber cap at first and hang a fishing-line circle on the stainless-steel line which inner the stainless steel tube. 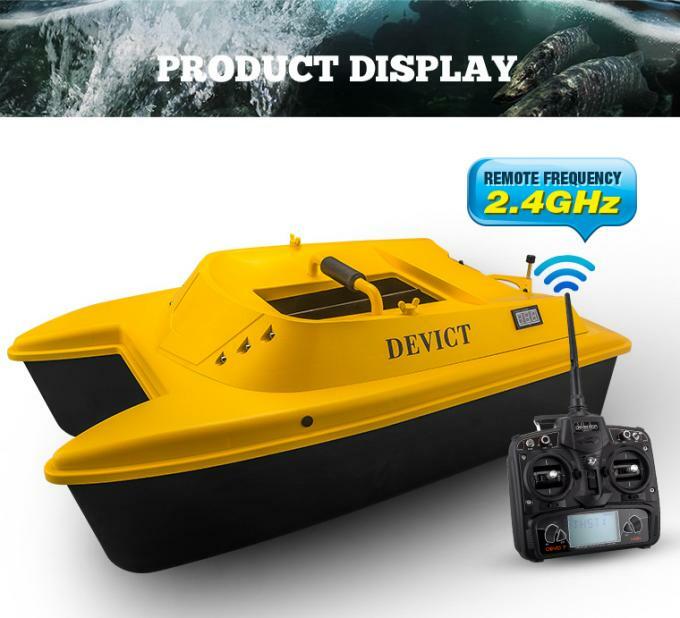 Then, control the boat to pull your fishing-line in the water far away from the shore. Once you want to drop the fishing-line, you could command the remote and dropping the line then. Its so easy!